Allow children to feel welcome at your home. You will find that welcoming children and friends into your home supports your children making and keeping friends. When you and your children are warm, friendly and generous, other children will usually be attracted to you. Making children of any age feel welcome in you and your children’s lives is a nice way to be. Taking an interest in other families and their children will attract friends into all your lives. Provide a comfortable place where your children and their friends can make believe, play games and have meals together and children will long to play at your house and with your children. Help your children early on in their lives and this will become a way of life for all of you. If your child is shy and perhaps has difficulty making friends, taking the initiative yourself can help your child learn how to develop friendships and at the same time help them to develop confidence in their abilities to do this. Do not keep to yourself when raising your children. We are the major role models in our children’s lives. If you do this they will do this too. Invite children over to your home to play with your children. Talk to the parents of your children's friends from the neighborhood, sports teams, from dance class, or from school and arrange play dates. Invite another parent or parents to join you for coffee while your kids hang out and play together. If your contact is with a child's father, then he might enjoy watching sports on TV with your husband while the kids play. When the parent feels comfortable in your home, they are more likely to allow her child to play at your house. Life is reciprocal and this is a nice way to help establish relationships with other families and friends for yourself and your children. They will invite you and your children over to their home. So remember, be warm and friendly with other families and their children. Naturally your children will learn to be this way too. 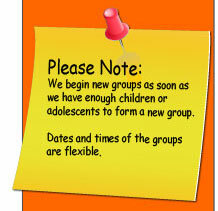 Sign up for activities with other children and their families. Carpool with other families. Share the responsibility of driving and being in charge. You will find that the kids form friendships during the car rides and often will extend their time together if you allow for it. They may have an after school or weekend snack together. Often they will ask if they can play longer even after their activity is over. Feed them and they will come to play with your child. Children are always hungry and they love snacks. Offer slices of apples and cheese or something healthy. They especially enjoy the attention from you while they are being served. It's a great opportunity to talk to them, get to know them and they know you, and be there for them. A benefit of having kids over to your home is that your own children are occupied in a happy way. They will be less likely to vie for your attention. And they will be less likely to fight with their siblings. They will be happy and fulfilled. Supervise them in a positive way. Notice when they cooperate nicely. Tell them you notice. Offer calm and patience, and if they are not getting along help them to resolve conflict. We are their teachers and these lessons will assist them outside of the home too. Enjoy them. The kids grow up fast. Seize the opportunity while they are young and growing up to spend quality time together and to just enjoy together. You will find how this builds a nice relationship with your children as well other families too. -- Susan Stern, LCSW is the founder of The Social Skills Place, Inc.